#Teacher Humor ~ Why my darlings, Why?!? Student 👦attends a sum total of 9/22 classes 💻for the semester — not including the last class where we discussed the exam📚. 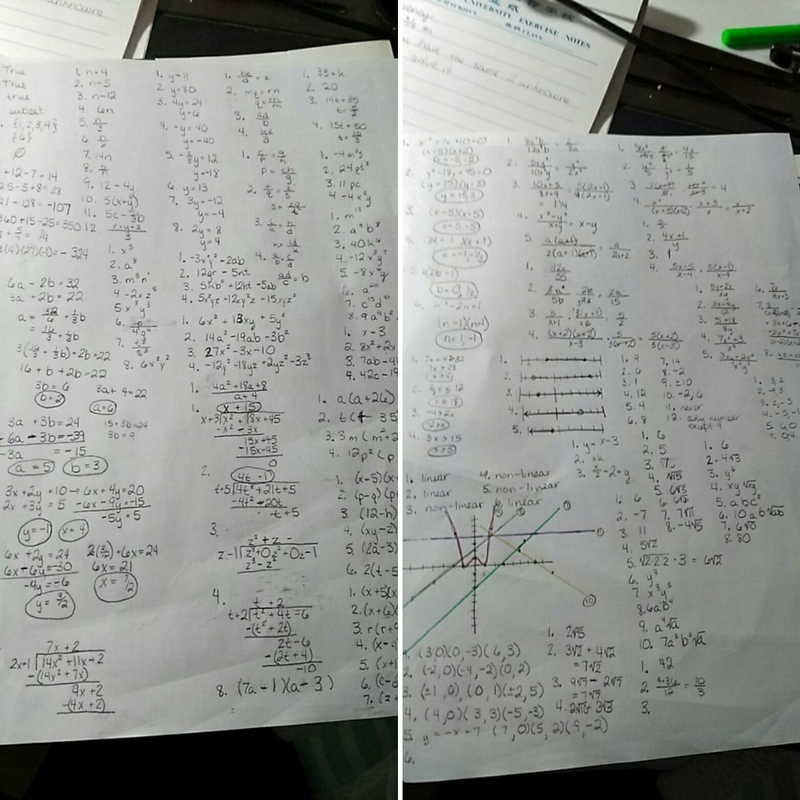 Sends me an urgent email📧, “But Teacher, we have many questions before the test.” . . . . . .
#Math – I Shall Rule You! After a historic resumption of U.S.–Cuba diplomatic relations and a relaxation of bilateral tensions, Berkeley Study Abroad is now offering a summer study abroad program in Havana, Cuba. Vasile, who received her doctorate in geography from UC Berkeley and now conducts research in Latin America, has been leading tours of Cuba for about five years on behalf of organizations such as National Geographic. She approached the geography department chair and study abroad office last year with plans for the program, and received swift approval. “Unlike a traditional classroom, we’re going to be going out in the field and observing the landscape for ourselves,” Vasile said, adding that her two primary objectives for the program are to instill in students a nuanced understanding of the complexity of Cuban history and the ability to critically observe the world around them. Peer institutions such as Harvard College and Princeton University have offered similar programs even before President Barack Obama announced his intention to renew diplomatic ties with Cuba. The campus had previously offered a similar program that lasted from 1999 to 2003. 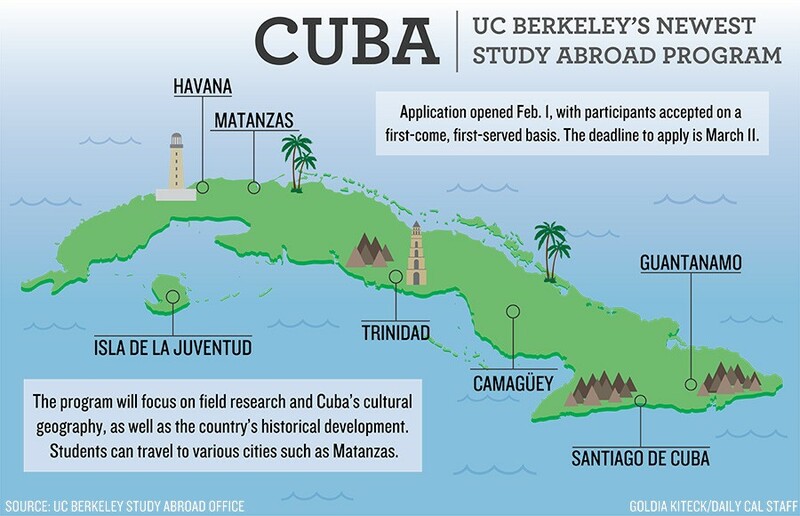 Other organizations such as the travel agency Marazul — which will be providing logistical assistance for UC Berkeley’s program this summer — have been organizing visits to Cuba since 1979. Members of UC Berkeley’s faculty have maintained professional ties to Cuba despite longstanding diplomatic tensions. Anthropology professor Nancy Scheper-Hughes fondly remembers having invited Cuban medical professionals for a seminar in the early ‘90s, noting that then-Chancellor Chang-Lin Tien was happy to write a letter officially inviting her guests onto campus. Despite a history of bilateral political animosity, both Scheper-Hughes and Vasile said student safety would not be of exceptional concern in Cuba. Kaylee Yoshii, a campus senior who has visited Cuba multiple times on research trips,noted that the attitude toward Americans in Cuba is welcoming despite the decades of diplomatic hostility. You know when your eyes are bloodshot, your draining the Visine bottle like nobody’s business, your hair is greasy from a whole night of stress, your heart is racing, and your skin is all dry and itchy that you’ve been spending way too much time on research papers and living off caffeine. 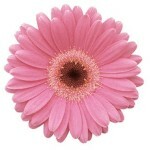 If I don’t get some water and sleep (not necessarily in that order); I’m going to crash.